Leaky roofs are the leading cause of grief among mobile home owners. But you don't have to live with roof problems if your metal roof is adequately coated and sealed. 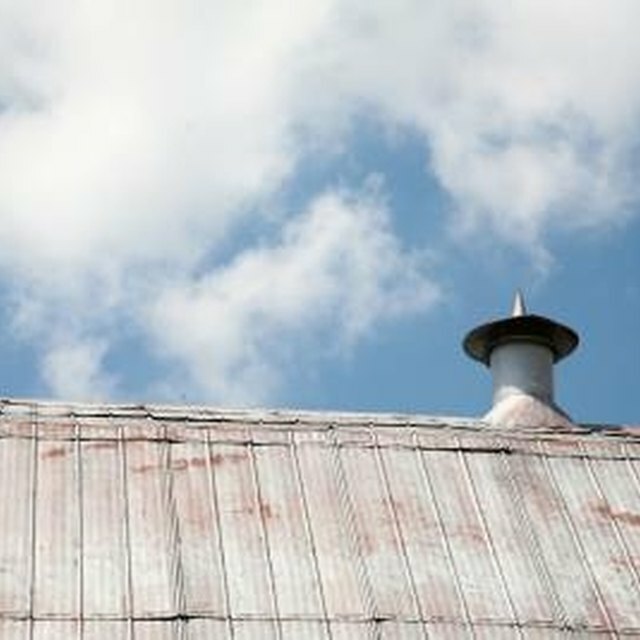 Roofs that receive regular maintenance and care may endure for years--saving you money in replacement or repair costs. It's best to coat metal roofs in three-year rotations in order to maintain it against leaks and corrosion damage. Remove all loose material like small branches and twigs from the mobile home roof. Use a broom to sweep away the debris. Inspect the roof to make certain there is no possibility for leakage due to damage. To keep from walking upon the roof while cleaning is being completed, do as much as possible while at the top of the ladder. Secure any loose screws and tighten them with the screwdriver. Next, carefully inspect the roof. The j-rails, which run the edge of the entire roof, and roof seams must be extremely smooth in order to have to new coating material applied. Use the wire brush and sandpaper to take off all cracked sealant. Go over the job to make sure all previous material is removed. Fix all damaged areas prior to applying coating to the surface of the roof. After repairs have been made, check that the roof is free of all dirt, grim, mold and mildew. Mix two parts chlorine bleach to five parts water and clean the surface of the roof. Rinse the solution off with the water hose. Dry the roof, then inspect it for any previous corrosion damage. To prevent additional damage from occurring, cover all corrosion with a metal primer. Use a paint brush to seal and coat screw holes, the primary spots where metal breakdowns and leaks occur. Next, mix a batch of patching cement and apply it to any damaged or warped spots. Use the putty knife, then recheck the roof for any skipped spots of damage. Apply the roof coating with the paint roller. Move the ladder as you progress. Stand on the higher rungs of the ladder, and be careful not to place the full weight of your body on the roof. Doing otherwise will cause you to risk damaging the newly repaired roof. What Is New in Roofing Materials?